Over 75 feature films, major television productions and commercials have been produced in Drumheller and surrounding region. You may recognize a few of them: titles such as The Revenant, Brokeback Mountain, the 1978 version of Superman, Unforgiven, Shanghai Noon, and Rat Race were all partially shot in the Drumheller region. Our otherworldly scenery lends itself well to sci-fi, horror and of course, Westerns. You’ve likely seen Drumheller scenery in movies that took place in areas such as Afghanistan, Mexico, Israel, Alaska and planets such as Mars. Michael Mongold, a local movie expert, points out that the unique atmosphere and scenery of the region, along with its closeness to Calgary, make Drumheller a hot-spot for movie makers. Having previously worked in the American film industry, Mongold is often approached by location scouts for productions, making him one of the guys to talk to when you want to find out more about Drumheller’s history as a small filming hub. With his help, we managed to outline a few locations in and around the Drumheller region that double as excellent filming locations – in film, TV, music videos and more. Most of these are easily accessible, making them spots that are great family-friendly places to check out. The next time you watch something filmed in and around Drumheller, try your best to pinpoint those spots! There are a few specific locations tied to Drumheller. Nearby Horseshoe Canyon can be seen in a few productions including Hell on Wheels. The show filmed several scenes using private farm access – but you’ll get the same atmosphere from walking the publicly accessible hiking trails at Horseshoe Canyon. Horseshoe Canyon is also where the “Second Dream” meteor scene in The Revenant was filmed. So, while you’re hiking stop and take your best Leo-esque selfie. Unforgiven, Clint Eastwood’s tribute to the Westerns that defined his career and got him two Oscars for Best Picture and Best Director, was shot in and around Drumheller. The iconic Badlands served as the rugged landscape and the run-down shack belonging to Morgan Freeman’s character happens to be on a private ranch in the region. Taking a drive down Dinosaur Trial or into the Drumheller Valley will give you the kind of scenery you’d see in this cowboy flick. The iconic Hoodoos play a prominent role in the music video for Tom Cochrane’s “Life is a Highway.” A few scenes were shot in front of the Alberta Pacific grain elevator in nearby Dorothy, but it’s probably the shot of Cochrane dancing with his guitar in between those Hoodoos that you likely remembered. Fifteen minutes away from Drumheller in the town of Wayne is the Last Chance Saloon, a place you should definitely add to your Drumheller bucketlist. This rustic bar has been around since 1913, a time machine to a different era. Getting to the Last Chance Saloon takes visitors through a series of bridges (known as the 11 Bridges to Wayne) that hold the Guinness Book of World Records for most bridges crossed within a short distance. Several scenes of Jackie Chan’s Shanghai Noon were shot by the saloon (as well as as other parts of Wayne and other areas around Drumheller). Onwards to the ghost town of Beynon, make your way up to the prairies that overlook the entire region. It is here where you may recognize the scenery from Smallville Cemetery, used in a pivotal scene in Superman. A lot of Brokeback Mountain was filmed in the surrounding Drumheller area. If you drive to Rockyford, you can check out the main street and the rodeo grounds several scenes were shot on. Make your way to Dorothy, and you’ll be driving on the highway Jack did in the movie. 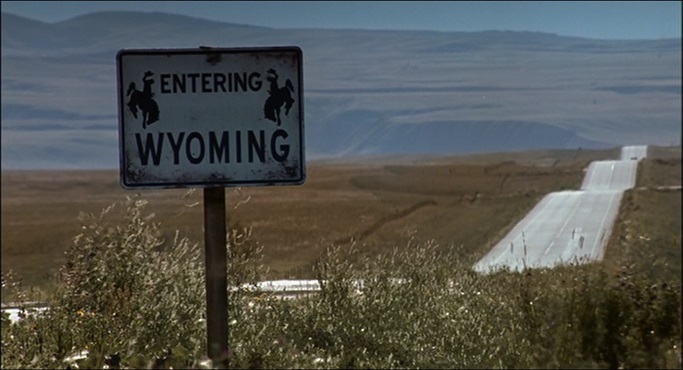 Note: you won’t actually be entering Wyoming while on this highway. Below is an easy-to-use map we have put together, with the help of Michael, to guide you on your movie location journey. Don’t forget to take pictures so you can compare your snaps to those on the big screen!